Do you feel tired just by thinking about domestic cleaning? Do you stay overtime in the office and find you have zero energy to do anything when you come back home? If you answer yes to any of these questions, you will find Top London Domestic Cleaners of great use to you. Our cleaning company offers affordable domestic cleaning in Hornsey. We are an accredited and fully insured company, which has been in the industry for some time now. Whether it is because you don’t how to proceed or maybe you just don’t have the time to clean, we can be of help. 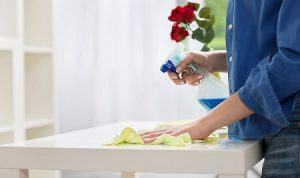 Our domestic cleaners will provide an efficient service. They can clean your home even when you are away and leave it in pristine condition. Everyone that has ever hired our services knows just how well-developed they are. 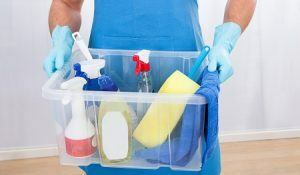 Our domestic cleaning service is among the most popular because of the quality we provide and the low price we offer it at. That is right, our price is reasonable and one that you will not find with other companies. Call us at 020 3322 8143 and ask for a free quote. We will not disappoint you. We take great pride in our cleaning team. We know that they are the backbone of the company and therefore we try to take extra steps to train them further. This means when they come to clean your home, you can expect nothing but a flawless outcome. There is no doubt that you will want to hire us again, once you see just how wonderful our cleaning service is. Remember, all you need to do is call 020 3322 8143 and our team of professionals can by at your side in no time. You will then wonder how you have gone so long without us.